Cinnamon, a bushy evergreen tree, now thrives in South America and the West Indies. The spice we know as cinnamon is the bark of those trees. Similar to cinnamon (and sold as cinnamon in many places, including the US), is cassia, which has a somewhat coarser flavor than true cinnamon. Cassia, a native of Burma, is now grown in China, Indochina, Indonesia, the Indies, and Central America. In their whole bark form, cinnamon and cassia can be differentiated by their shape: cinnamon bark forms the tightly-rolled quills commonly called cinnamon sticks, while cassia forms into more loosely rolled, irregular sticks or strips. Culinary experts recommend using true cinnamon for sweets and delicate dishes, while cassia is fine for savory dishes and stewed fruits. 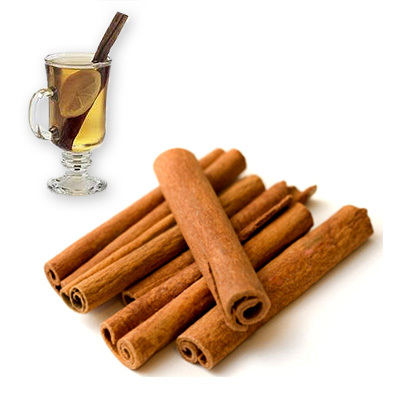 Cinnamon has an rich, warm, sweet fragrance that has made it a key ingredient in dishes from around the globe. From mulled wine to hot chocolate to cookies, cakes, moles, soups, and stewed or roasted meats; even in the making of certain types of sausage, cinnamon gives dishes a complex, exotic flavor.